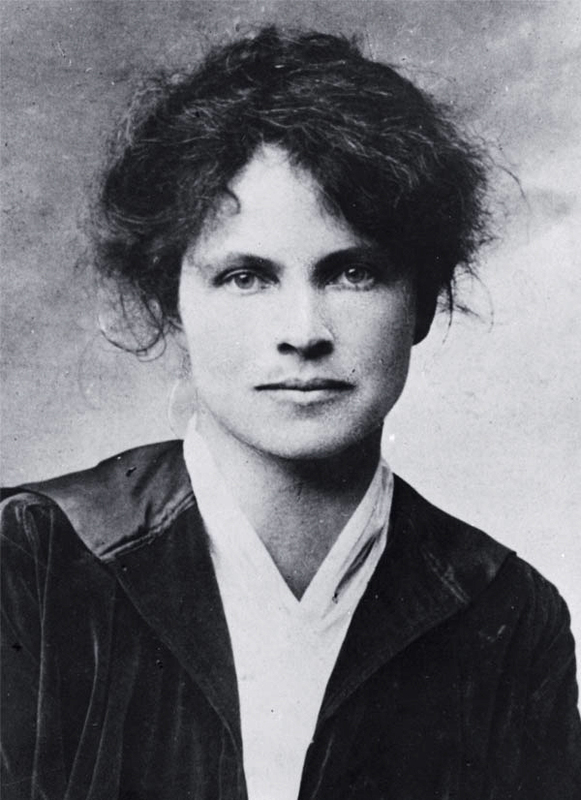 Dorothy Canfield Fisher met Maria Montessori during a trip to Rome in 1911, and she quickly became an ardent supporter of the Italian woman’s innovative method of education. The belief that all children—indeed, all people—should cultivate the talents that inspire and fulfill them was one Fisher advocated in every aspect of her life. She combined this advocacy with a vehement dislike of dictatorial authority—whether packaged in the form of social convention or political tyrants—and the result was a lifetime of social and educational activism. In 1958, the year Fisher died, Eleanor Roosevelt named her one of the ten most influential women in America. Fisher’s mother was an artist, her father a professor of economics and sociology. She was born in 1879, and throughout her childhood she and her parents moved wherever her father’s academic jobs took them, from Kansas to Nebraska to New York. The geographical constant in her life was Arlington, Vermont, where she spent every summer with relatives. Years later, she moved to the town permanently with her husband, John Redwood Fisher, and it became both the home of her two children and her favorite literary setting. She was also well acquainted with Europe: as a young girl she attended a convent school in Paris, and in 1902 she and a close friend from Nebraska, the author Willa Cather, went on their own Grand Tour. Fisher earned a Ph.D. from Columbia in Romance Languages and Literatures, but after publishing her dissertation in 1904, she opted not to follow a traditional academic path; instead she worked as a secretary for the Horace Mann School in New York. This experience, coupled with her subsequent meeting with Montessori, confirmed Fisher’s commitment to education. She promoted untrammeled and universally accessible schooling, for girls as well as boys, blacks as well as whites, adults as well as children. By the end of 1914 she had published three non-fiction books introducing the Montessori method to American readers. Then war broke out: her husband went to France to work as an ambulance driver, and Fisher, undaunted, joined him with their two children. Once there she worked indefatigably, organizing convalescent homes for children and wounded soldiers. When she and her family returned to America in 1918, she picked up where she had left off: managing the country’s first adult-education program, helping to reform prison education, working for Vermont’s Board of Education to improve their rural schools, and advocating the pardon of conscientious objectors—among other projects. In 1939, with the Second World War looming, she helped run the Children’s Crusade, an effort to rescue Jewish children from Hitler’s Germany. On top of this astonishing list of achievements, Fisher pursued a prolific and successful literary career. She began writing fiction soon after earning her Ph.D. and went on to publish dozens of short stories and over twenty novels. For twenty-five years, from 1926 to 1951, she was a member of the selecting committee for the Book-of-the-Month Club, reading and deliberating on fifteen novels every month. The sheer volume of work that she took on—the manifold responsibilities of motherhood, novel-writing, activism, education—never seemed to tire her. It is abundantly clear, in both her novels and her life, that idleness, like misguided effort, was one of Fisher’s bêtes noires. And she was not afraid to say so: Fisher used her books as tools of advocacy, and part of her achievement as a writer is that her best novels are absorbing in spite of this proselytizing undertone. 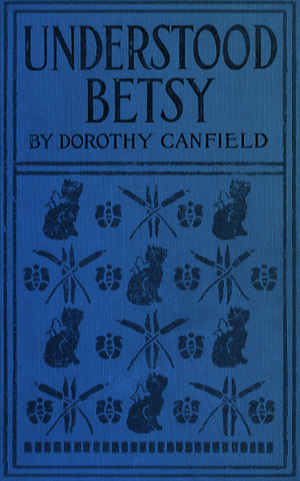 Her efforts were not uniformly successful—some of her fiction is too insistent on its message—but in her best books, most notably The Home-Maker (1924) and the children’s classic Understood Betsy (1917), Fisher’s literary skill and reforming passion come together to create highly successful novels. The Home-Maker paints a portrait of a marriage, one of Fisher’s favorite themes. When the book opens, Lester Knapp is unbearably depressed in his job as a department-store clerk. He loathes the strict nine-to-five routine and yearns for his rarely seen children. His wife, Evangeline, stuck in the house all day with their daughter and two sons, is equally miserable: made for a life of action and leadership, she finds the endless round of domestic tasks and child-care an unspeakable torture. The first half of the novel is deeply unpleasant: Fisher evokes Lester’s defeated lassitude and Evangeline’s impotent fury so well that the reader can’t help identifying with them and praying for something, anything, to inject some trace of light and hope into the novel. Nor does Fisher hurry through this opening section: readers are not simply given a glimpse of despair; they are forced to wallow in it, weathering a barrage of mundane irritations, lost tempers, and tedious chores. Readers who give up after a hundred pages are not to be blamed: but those who do will miss a startling and uplifting transformation. Fisher solves the Knapps’ dilemma by reversing their roles, using as a catalyst a shocking accident that paralyzes Lester from the waist down and prevents him from leaving the house. The outcome of this accident was profoundly controversial: neither househusbands nor businesswomen were common in the 1920s. The debates surrounding the book’s publication stemmed in part from its emotional power. Because Fisher plumbs the depths of the Knapps’ misery, their subsequent journey into happiness is overwhelmingly satisfying. Sustaining the intensity of her narrative, Fisher draws the reader into Lester’s pride in caring for his offspring, Evangeline’s joy in her new job as a saleswoman, and their children’s relief at the new, positive atmosphere of their home. The family’s first tentative gestures become strong strides toward personal fulfillment, and the reader has the pleasure of accompanying them every victorious step of the way. For this reason, the final twist, which threatens not only their newfound equilibrium but the family’s growing bonds with each other, introduces great suspense—and the suspense is heightened by the question of whether Fisher will dare to give such an unorthodox story a happy ending. The novel’s last, climactic scene is unexpected and profoundly moving. The Home-Maker offers both a riveting story and a call to action: its characters implicitly urge readers to uncover their own buried dreams and force them into life. This, indeed, was Fisher’s aim: to inspire, to teach, to demonstrate. Her purpose is even more clear in the children’s novel Understood Betsy. Elizabeth Ann, an orphan, goes to live with her relatives on a farm in Vermont. She is a frail, nervous, hysterical child, unable to do anything for herself and frightened by everything from dogs to solitude. But her down-to-earth cousins have no time for frailty, and their assumption that Elizabeth Ann will help out on the farm introduces her to the novel notion that she might be able to contribute to her surroundings. Her cousins call her Betsy, a less pretentious name for the strong, capable girl she will become. Eventually she begins attending the town’s one-room school—a Montessori establishment in all but name—where the teacher helps Betsy develop her interests and opinions. As with The Home-Maker, Betsy’s increasingly confident steps toward courage and self-reliance are enormously satisfying for readers. Her story follows the rags-to-riches path of a fairy tale, but the riches are emotional rather than financial, and the transformation is caused not by a fairy godmother but by practicality, kindness, and Betsy’s own determination. As a promotional pamphlet for the Montessori method of education, Understood Betsy is outstanding. The best thing about Fisher’s fiction, however, is that it is not simply a series of promotional pamphlets; nor is it an exercise in anodyne inspirational writing. Her characters are complex, troubled people who have a life beyond that of advocating a certain educational philosophy, and their victories are all the more powerful because they are never perfect. She was scrubbing furiously at a line of grease spots which led from the stove towards the door to the dining-room. That was where Henry had held the platter tilted as he carried the steak in yesterday. And yet if she had warned him once about that, she had a thousand times! Warned him, and begged of him, and implored him to be careful. The children simply paid no attention to what she said. None. She might as well talk to the wind. Hot grease too! That soaked into the wood so. She would never get it clean. She shook the surplus of water from her scrubbing-brush, sat back on her heels, sprinkled cleaning-powder on the bristles—the second can of cleaning-powder this month, and the price gone up so!—and setting her strong teeth hard, flew at the spots again, her whole body tense with determination. A sober-faced little boy in clean gingham rompers, with a dingy Teddy-bear in his arms, appeared at the door of the dining-room behind her, looked in cautiously, surveyed his mother’s quivering, energetic back for an instant, and retreated silently without being seen. She stopped, breathless, dipped her hand into the pail of hot soapy water, and brought out a hemmed, substantial floor-cloth, clean and whole. When, with a quick twist, she had wrung this out, she wiped the suds from the floor and looked sharply at the place she had been scrubbing. The grease spots still showed, implacably dark against the white wood about them. Her face clouded, she gave a smothered exclamation and seized the scrubbing-brush again. In the next room a bell tinkled. The telephone! It always rang when it would bother her most. She dropped her brush, stood up with one powerful thrust of her body, and went to wipe her hands on the roller-towel which hung, smooth and well-ironed, by the sink. The bell rang again. Exasperated by its unreasonableness, she darted across the dining-room and snatched the receiver from the hook. An ominous silence in the house greeted her as she hung up the receiver and turned away. What could Stephen be up to, now? With this ordinary scene—a woman cleaning the floor, answering the phone, complaining about her children and her chores—Fisher lays the groundwork of her story. Evangeline’s surprising journey from this starting point, rooted in the details of daily life and paired with Lester’s mirror-image transformation, is a joy to read. And to prove the success of the Knapps’ unconventional experiment, Fisher describes the growing energy and happiness of their children—a result that was always, for Fisher, life’s primary aim. Learn more about Dorothy Canfield Fisher’s novels on Amazon and Goodreads.